Add a splash of sunshine to your summer wardrobe with this stripe gold button jacket by Luisa Viola. The navy, orange and yellow stripes will add welcome colour to your ensemble. It’s beautifully tailored jacket by the esteemed Italian designer. 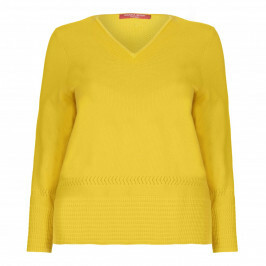 Wear it with navy linen Persona pull-ons and a yellow t-shirt for a joyful summer look. Striped jacket with gold buttons. 29% Cotton, 27% Viscose, 27% Polyester, 18% Acrylic. Delicate Dry Clean Only.